Machine building is a competitive industry where aggressive control of costs, quality, and accurate scheduling allows you to succeed in a global economy. To meet the specifications and demands of machine building requires a robust but flexible ERP software solution. Global Shop Solutions ERP for manufacturers meets those requirements with the ability to customize and create applications to fit your changing needs. Our ERP Software is available on premise and in the cloud. 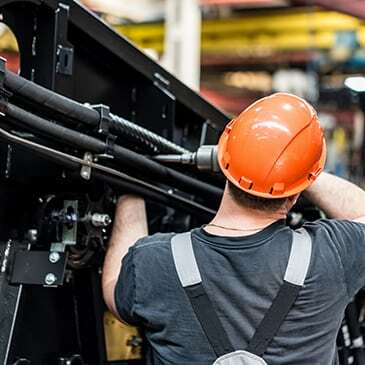 Machine building manufacturers benefit from the Global Application Builder and thousands of free applications that are available to them as a Global Shop Solutions ERP software user. Your software can adapt to your unique preferences. When customers are having their large machines manufactured, they want visibility and accountability throughout the process. Global Shop Solutions ERP software provides that through real-time information and easy access to data for superior customer service. Machine building requires the ability to make changes and adjustments. Real-time data allows that kind of flexibility without huge cost overruns. It keeps you in control of your timeline to meet critical deadlines.